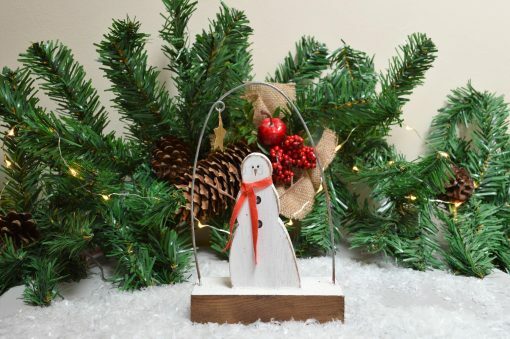 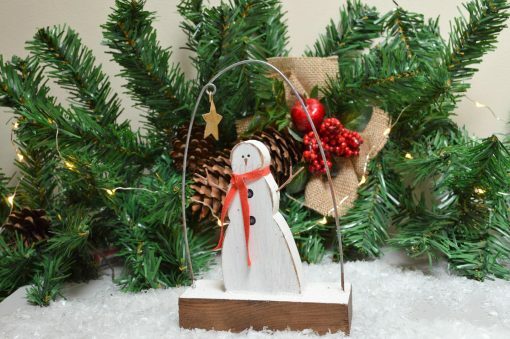 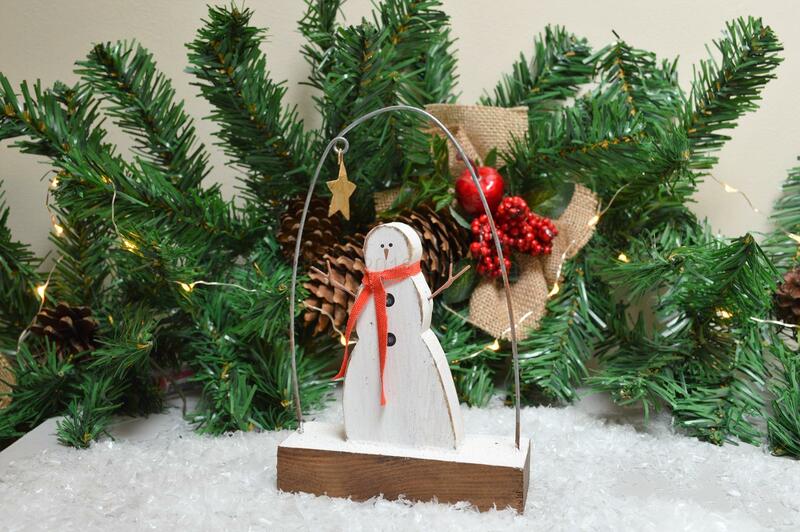 This is a lovely wooden snowman sat on a base that’s covered in snow it has a metal arch over with a cute metal star hanging from it. 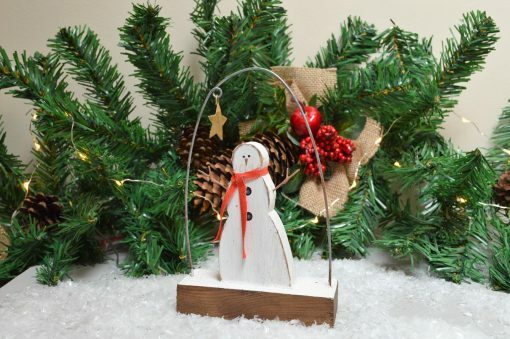 The snowman has a painted face and button details, with a red fabric scarf around its neck. 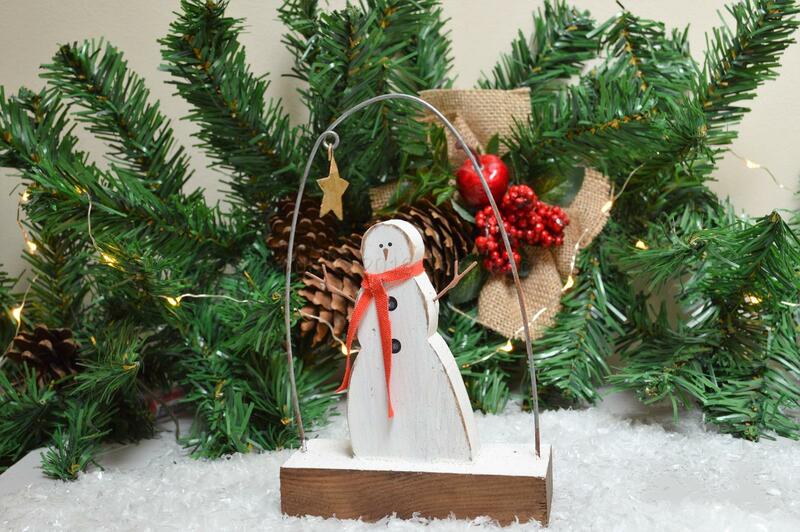 This fab decoration would great on your fire place over the festive period.